The Taliban is famous for destroying historic monuments. 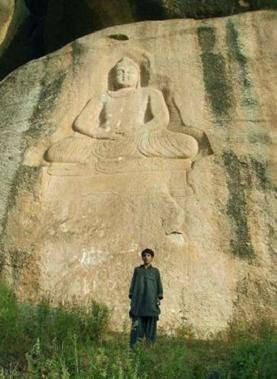 The Islamist group blew up the famous Buddhas of Bamiyan in March 2001. 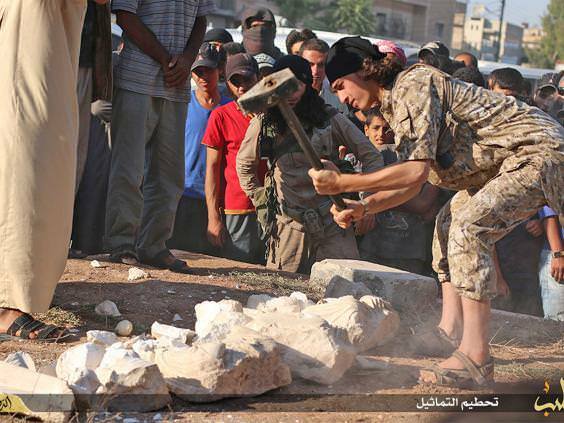 Islamists regularly destroy historic artworks. Islamists blew the head off of an ancient Buddha statue in Swat. 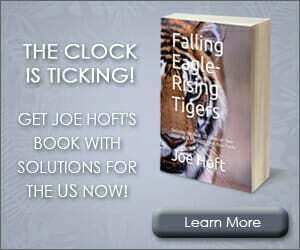 Islamists stormed the the Madives’ National Museum and destroyed the entire collection of 12th Century Buddhist relics. ISIS destroyed artifacts in ancient Palmyra in Syria. 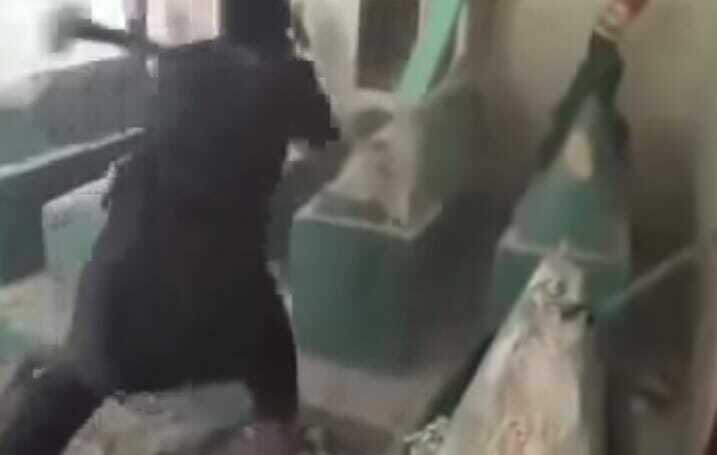 ISIS blew up Jonah’s tomb in Mosul, Iraq. 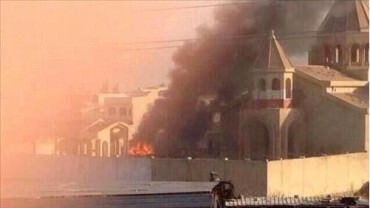 ISIS torched an 1,800 church in Mosul. 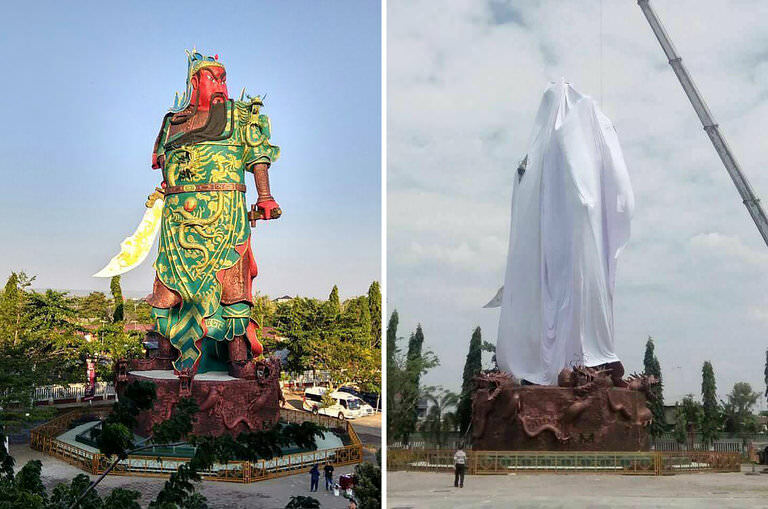 Earlier this month Muslim Indonesia covered a 100 foot historic statue of a Chinese god with a giant sheet. Democrats voted on Tuesday to cloak local statues in black sheets. The Charlottesville City Council voted to drape two Confederate statues in black fabric during a chaotic meeting packed with irate residents who screamed and cursed at councilors over the city’s response to a white nationalist rally. The anger at Monday night’s meeting, during which three people were arrested, forced the council to abandon its agenda and focus instead on the tragedy that surrounded the rally. Covering the statues is intended to signal the city’s mourning for Charlottesville resident Heather Heyer, who was killed when a car slammed into a crowd protesting the rally. “I think what you saw last night was a traumatized community beginning the process of catharsis,” Mayor Mike Signer told The Associated Press on Tuesday.